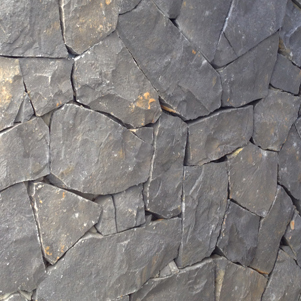 Clovelly Basalt Rock Wall Cladding is supplied as loose natural stone pieces. The stone wall is then installed piece by piece by a stone mason. Also available to complete the natural solid wall appearance are corner pieces that are random sizes and lengths. Clovelly Wall Cladding as featured in Episode 6 Grand Designs Australia.